Looking For Professional Milwaukee Movers? Brothers Moving & Moving is your go to moving company when your need of Milwaukee movers. Milwaukee is the largest city in Wisconsin. Known as the city of festivals, Milwaukee’s weather sees all four seasons, boasting pleasant and some of the mildest summers in the nation. 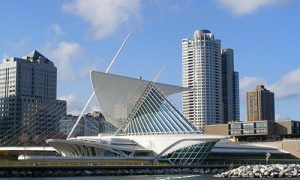 Situated at the confluence of the Kinnickinnic, Menomonee, and the Milwaukee Rivers, Milwaukee is famous for its lakeside and cultural festivals as well as the huge breweries that put the city on the map. All in all, Milwaukee is a perfect destination for a vacation and with numerous attractions in its surrounding areas, it would be a shame to miss them. 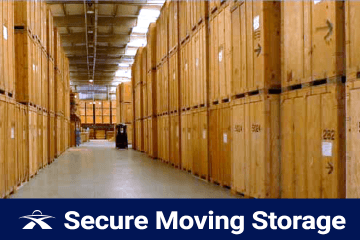 Brothers Moving & Storage has been in the moving business for many years. Over the years, we have built a great reputation as one of the most courteous and professional Milwaukee moving companies as you can see in our google reviews. Our training, experienced Milwaukee movers makes Brothers Moving & Storage the moving company of choice when it comes to reliability and quality moving services. We are equipped to handle various moving services including local, long distance, residential, commercial, and labor only moves. Whether you are moving to or from Jackson Park or Sherman Park, finding a new home in Tippecanoe, moving to Riverwest or Town of Lake, moving your business or home to East Town or Uptown Crossing, we have all of Milwaukee covered! We specialize in all types of residential and commercial moving. 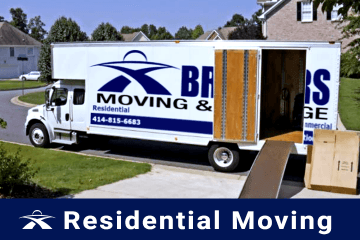 If you are moving out from your neighborhood, across the street, downsizing or upsizing, think of Brothers Moving & Storage as your local moving company experts. We know that each move is different, that’s why we are ready to customize our services and moving packages to suit your needs when you are in of Milwaukee Movers . Long distance moving presents quite a unique set of challenges, from packing services to loading, from climate controlled moving storage to moving for a state to state or cross country move. At Brothers Moving & Storage, we provide personalized long distance moving service at an affordable price. We have ample experience in moving offices and entire businesses from one location to another. 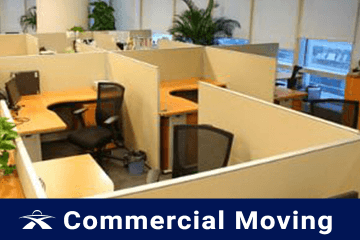 Relocating an entire business is a complex process, but we will be here to assist with your commercial/office move. Whether it’s the large equipment of the office or just the office furniture, we can get your office moved professionally and in no time. 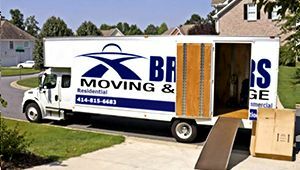 If you are moving to or from Milwaukee, count on Brothers Moving & Storage to be your reliable, professional, and affordable Milwaukee movers. We are a small family owned moving company servicing the Milwaukee area, so we can offer you more personal service at affordable rates. We offer no surprise fees for things like stairs, elevators while at the same time protecting your floors, banisters and doors to help prevent any damage at no additional charge. For more tips and tricks, visit our Milwaukee Movers Blog Page or your free no-strings-attached moving quote, Contact Brothers Moving & Storage today. Brothers Moving and Storage has been providing great customer service along with quality moving services to anywhere in Milwaukee and the surrounding areas. If you are interested in a free moving estimate, please contact us at (414) 815-6683. Milwaukee Movers	Overall rating:	4.8	out of 5 based on 20	reviews.